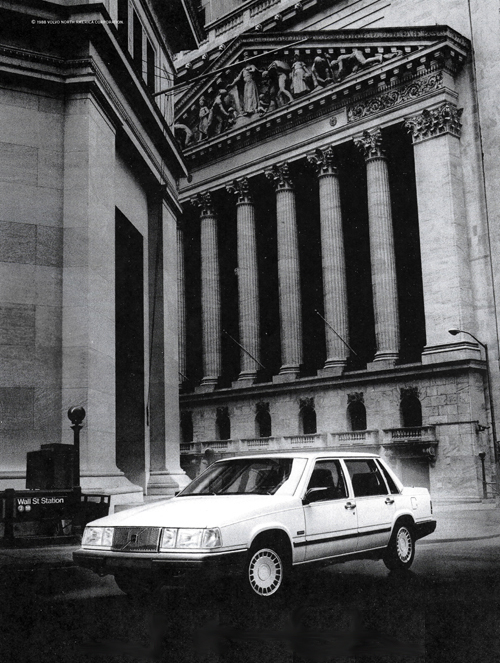 1989 – Volvo 760 GLE at the corner of Wall St and Broad St near Wall St Station. 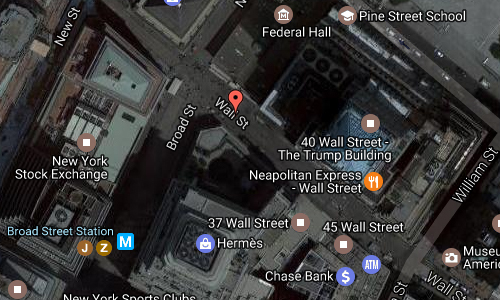 Wall Street is an eight-block-long street running roughly northwest to southeast from Broadway to South Street, at the East River, in the Financial District of Lower Manhattan in New York City. Over time, the term has become a metonym for the financial markets of the United States as a whole, the American financial services industry (even if financial firms are not physically located there), or New York-based financial interests. 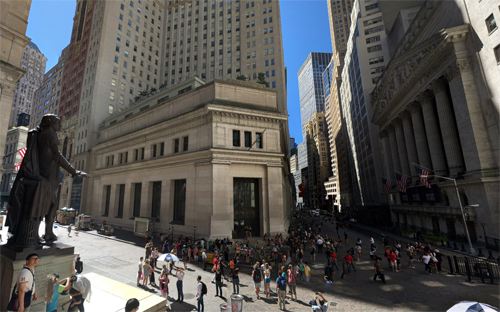 Wall Street is a major location of tourism in New York City. 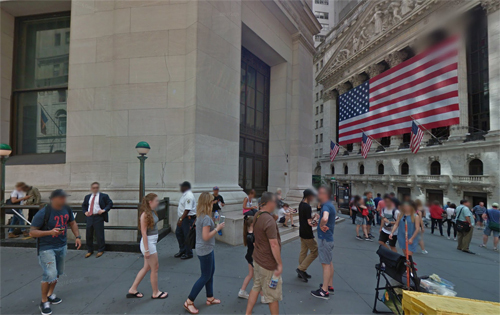 One report described lower Manhattan as “swarming with camera-carrying tourists”. Tour guides highlight places such as Trinity Church, the Federal Reserve gold vaults 80 feet below street level (worth $100 billion), and the NYSE. 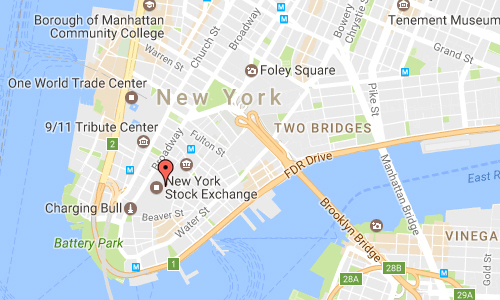 A Scoundrels of Wall Street Tour is a walking historical tour which includes a museum visit and discussion of various financiers “who were adept at finding ways around finance laws or loopholes through them”. Occasionally artists make impromptu performances; for example, in 2010, a troupe of 22 dancers “contort their bodies and cram themselves into the nooks and crannies of the Financial District in Bodies in Urban Spaces” choreographed by Willi Donner. One chief attraction, the Federal Reserve Building in lower Manhattan, paid $750,000 to open a visitors’ gallery in 1997. 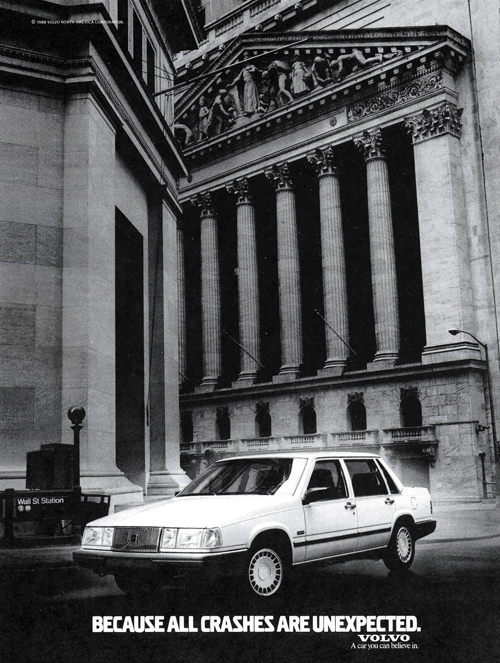 The New York Stock Exchange and the American Stock Exchange also spent money in the late 1990s to upgrade facilities for visitors. Attractions include the gold vault beneath the Federal Reserve and that “staring down at the trading floor was as exciting as going to the Statue of Liberty”. More information at en.wikipedia.org/wiki/Wall_Street and www.aviewoncities.com.